ProBikeWash is proud to provide cycle event support. Our unique machine is mobile and perfect for all size of events. With our mobile bike cleaning service we can attend any size of Cycling Event in the UK. It is ideal for Road Racing, Sportives, Cyclo-Cross and Mountain Bikes. We cater for the smaller event of only 250 people up to the largest of 2000+ competitors. First of all we always have a detailed discussion with the Cycle Event Organisers to discuss the size, location and type of Event. 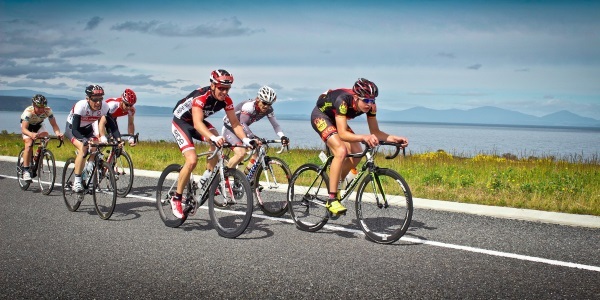 We tailor our Cycle Event Support packages individually to suit the needs or the organiser. Once we understand the needs, type of event (MTB, Sportive etc) and expectations we will visit the Start/Finish venue to ensure that there is sufficient space for our ProBikeWash machine and good access to water and electricity. Even if it isn't an ideal venue we have all the support equipment (generators etc) to ensure that we can provide a great service. Once we have completed this work we will submit our plan, site requirements and costings to the Event Organiser. Then upon receipt of approval from the Event Organiser we will confirm our booking and attendance to provide Cycle Event Support. If you need to talk about Cycle Event Support then please get in touch.